Art Power is a 501(c)3 organization on a mission to improve the lives of children and adults using the transforming power of creating art. We build free or low cost choice-based art studios for all ages that build skills, nurture expression, and inspire self confidence in children and adults facing formidable circumstances such as homelessness, poverty, abuse, and illiteracy. We plant the seeds of positive change that improves lives and communities. We believe that everybody, children and adults, deserves to experience joy and have the opportunity to grow and experience success. 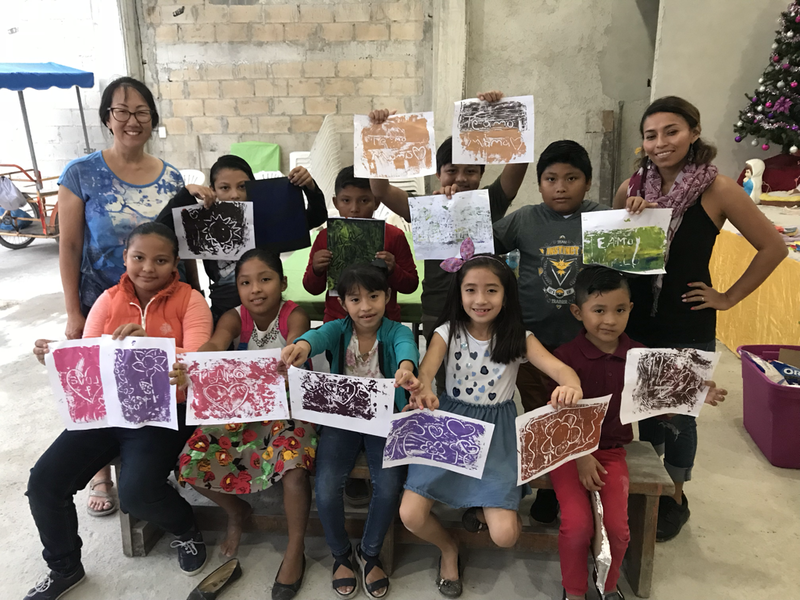 Art Power has created relationships with Vida Abundante, a church and community refuge in the Emiliano Zapata neighborhood, Olas de Gracias, a church in the San Miguel neighborhood, and we will continue our relationship with Ciudad de Angeles Orphanage. We have an art studio and a metal studio, and drumming workshops. We are located in the Colonia CTM in the town of San Miguel, Cozumel, Mexico. ​The studio is busy and seeing 80 attendees per week in just 15 hours that we are open! 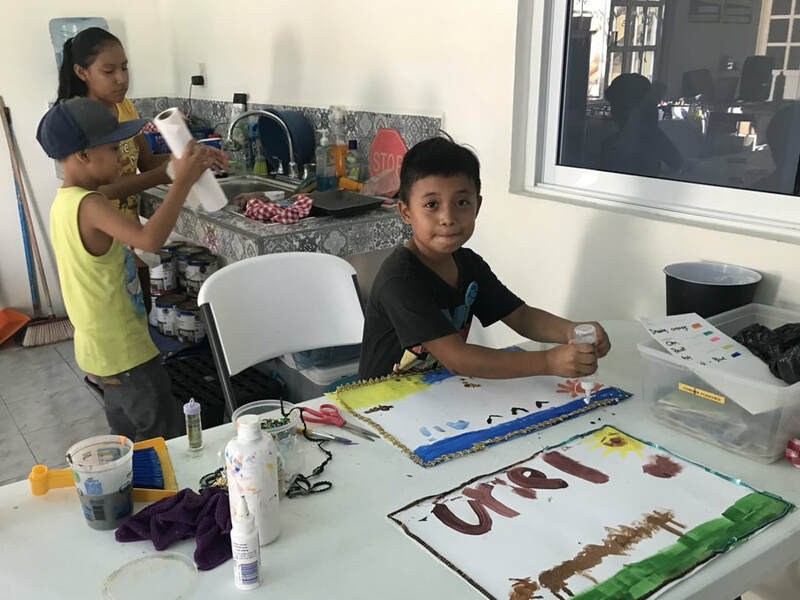 ​Kids like Karla, Cristina, and Sergio come to Casa de la Creatividad for the opportunity to create art, relax, and socialize. We focus on children from 4 to 18 years old, but we welcome all-ages. Art is beneficial for everyone! Do you remember how it feels to be creative and make something? It feels good doesn't it? Art reduces stress and anxiety while increasing positive feelings. Art encourages creative thinking and enhances problem solving skills. Art provides a sense of accomplishment and naturally boosts self esteem. Art encourages people to step out of their comfort zone and take safe risks. Art makes people better learners. Art creates connection, empathy, tolerance among people, and increases loving feelings. Now let's imagine the world with more art! 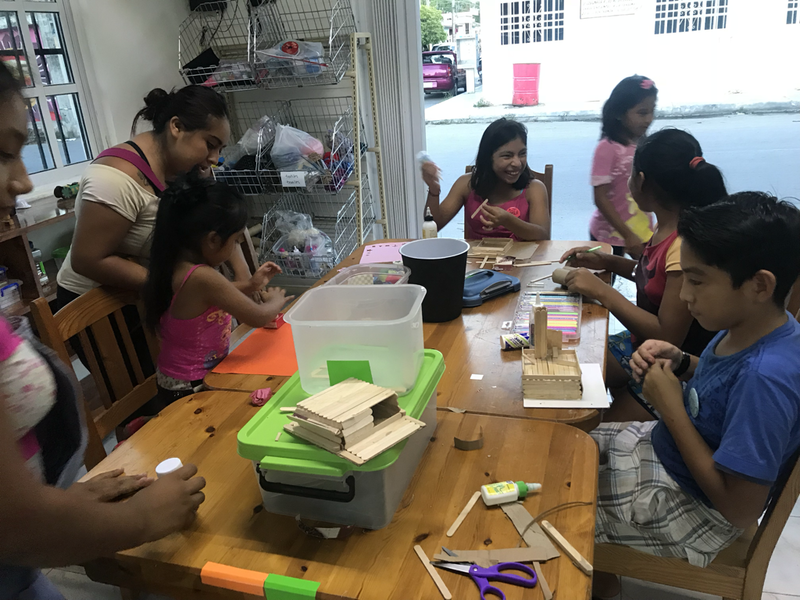 Our choice-based studio, Casa de la Creatividad (House of Creativity), is a safe place where we can nurture creativity and encourage growth and exploration. Art that is created and inspired by the artist's own experiences enhances authenticity and growth as an individual. The artists direct their own work and learning; they ask questions and see the possibilities in the world around them. Choice-based art making decreases comparisons to others, and a nurturing community evolves; the artists coach each other, encourage each other, discuss, share, and celebrate themselves and each other.